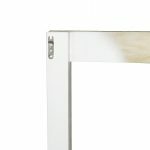 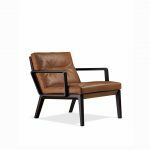 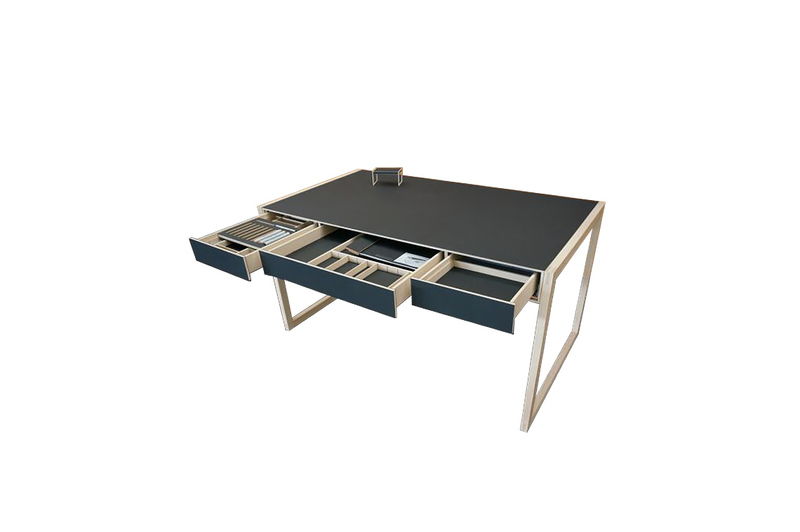 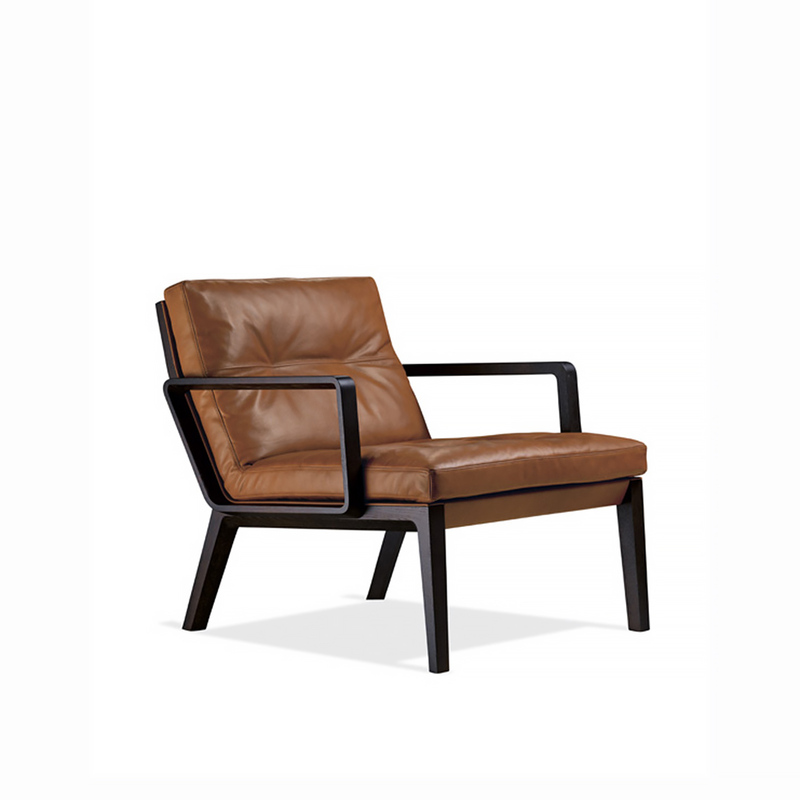 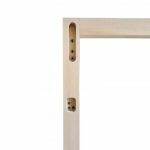 The DUO-System is strategically engineered for fast processing while maintaining a design of traditional frame joints in furniture making. 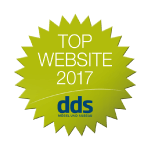 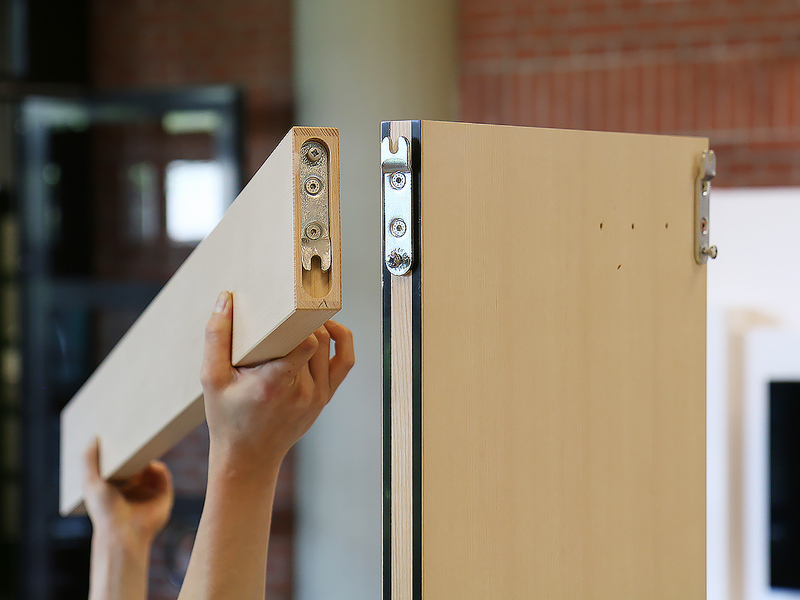 The DUO-System is simple and easy-to-use, even for the end user. 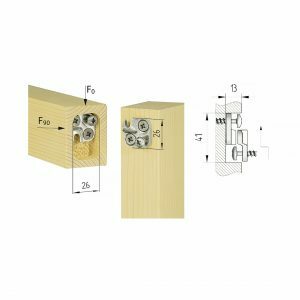 The DUO-System provides the optical qualities of traditional frame joints while being engineered in an innovative manner for fast processing and application. 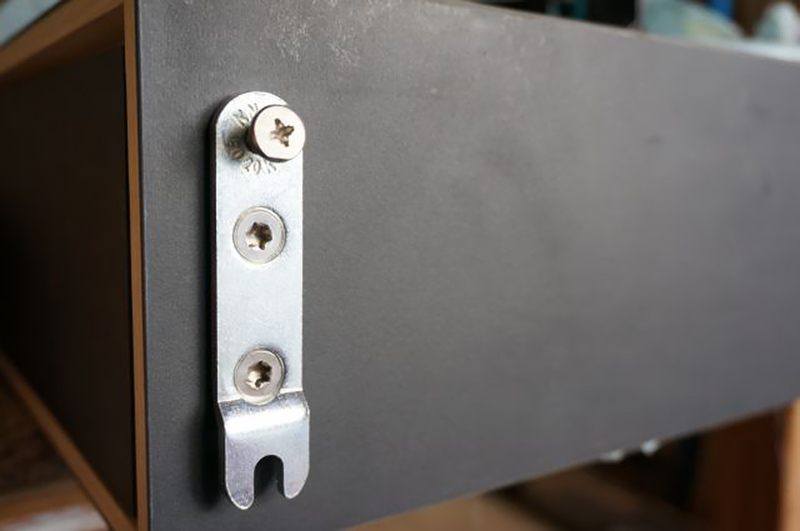 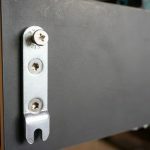 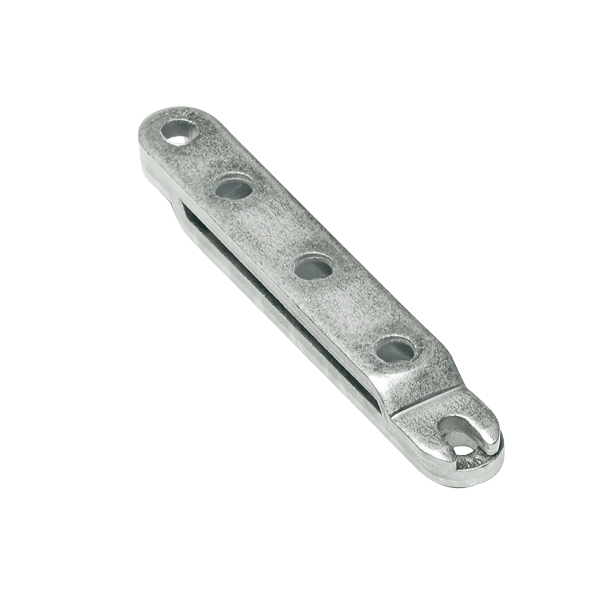 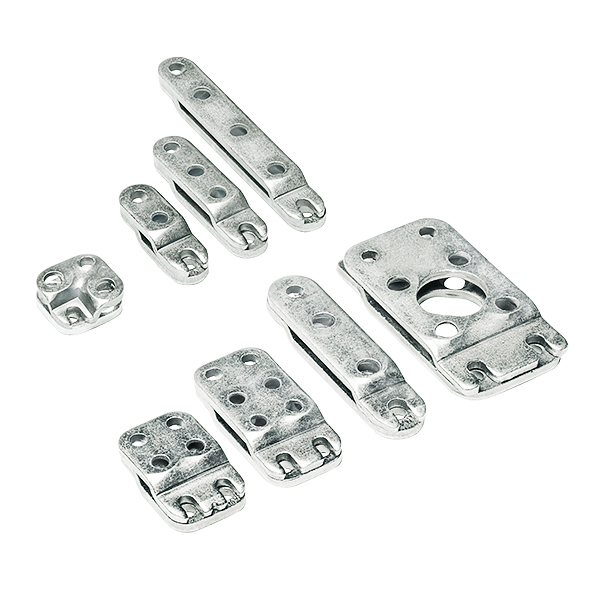 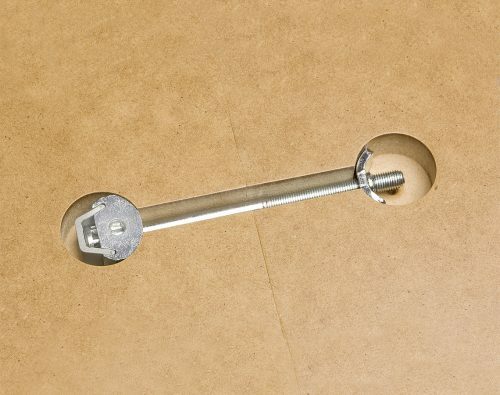 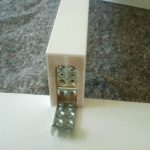 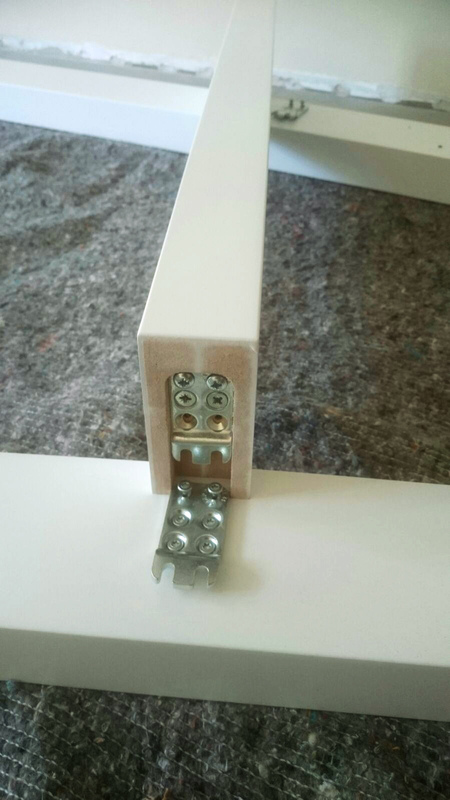 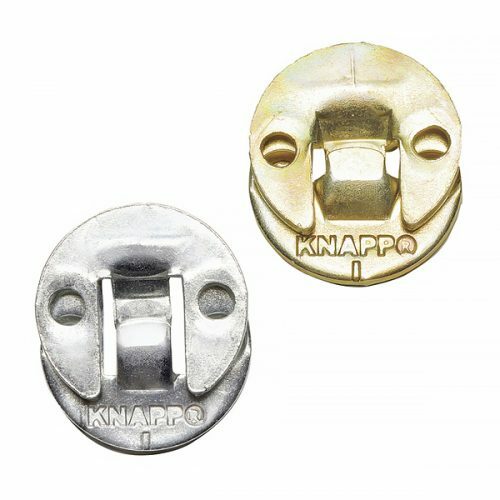 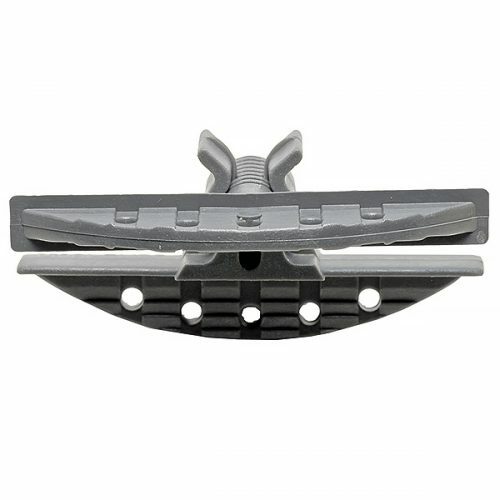 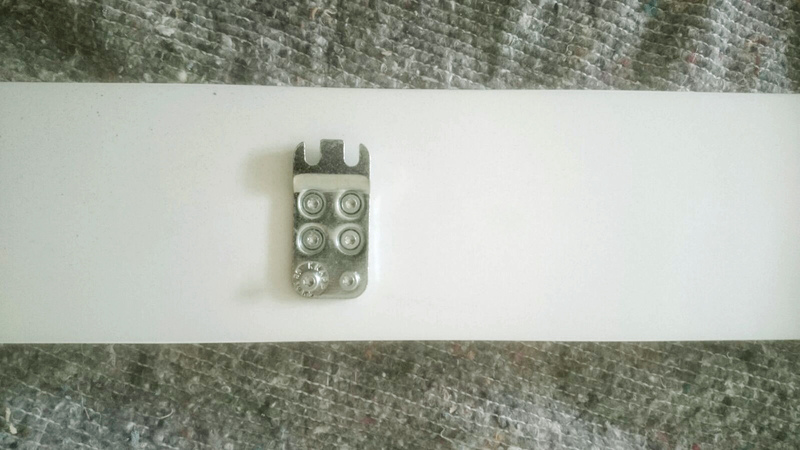 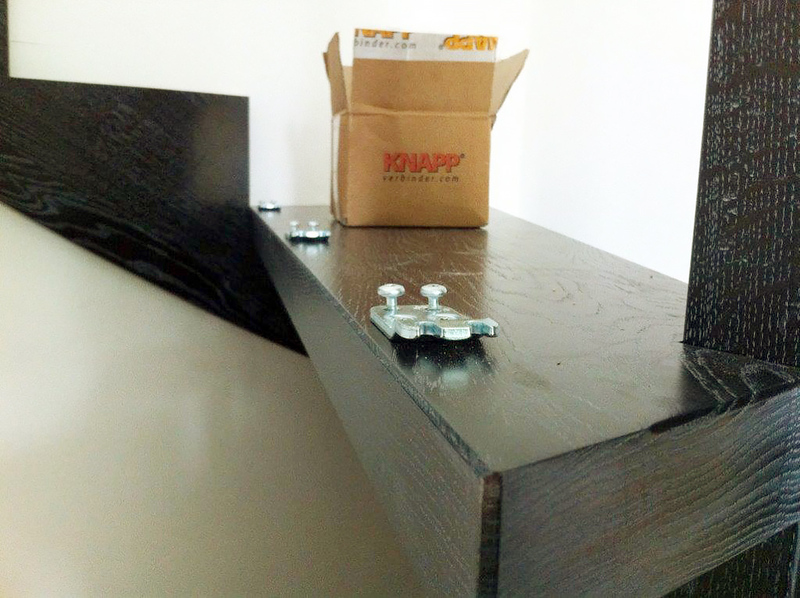 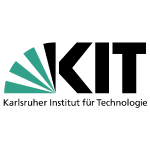 For example, the DUO 100/15 is an ideal frame connector for beds, and, like all KNAPP connectors, is non-visible, can be disassembled, and self-tightening. 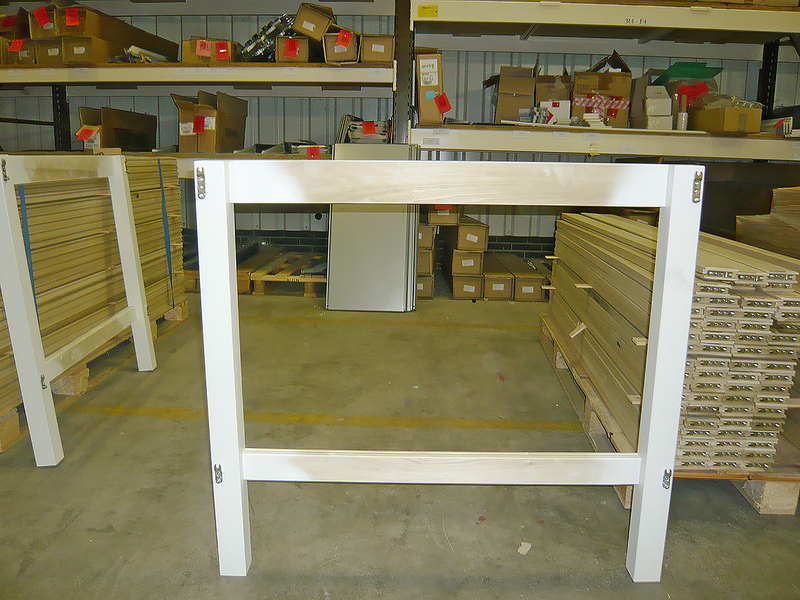 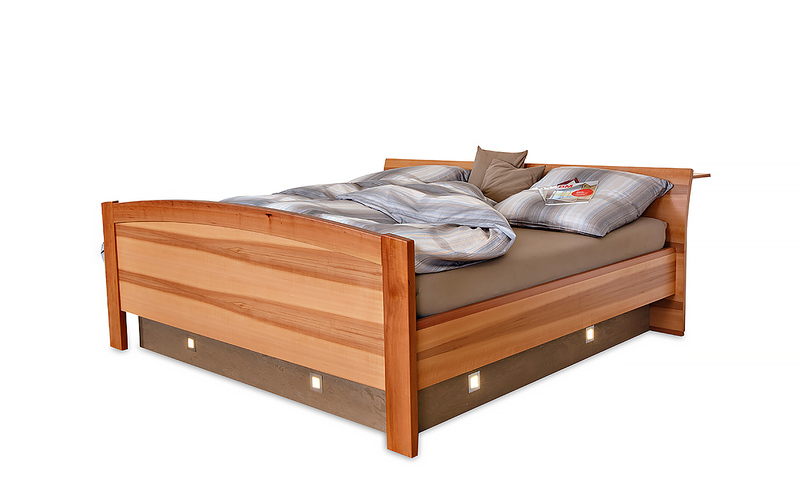 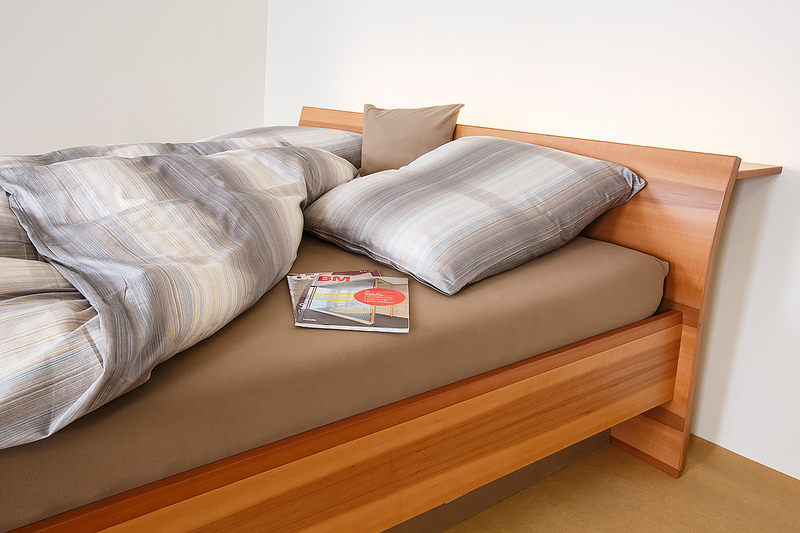 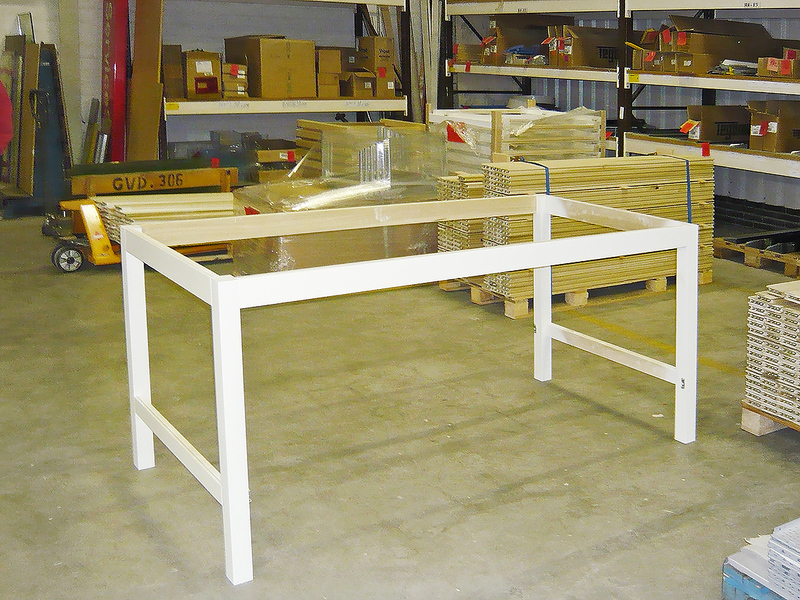 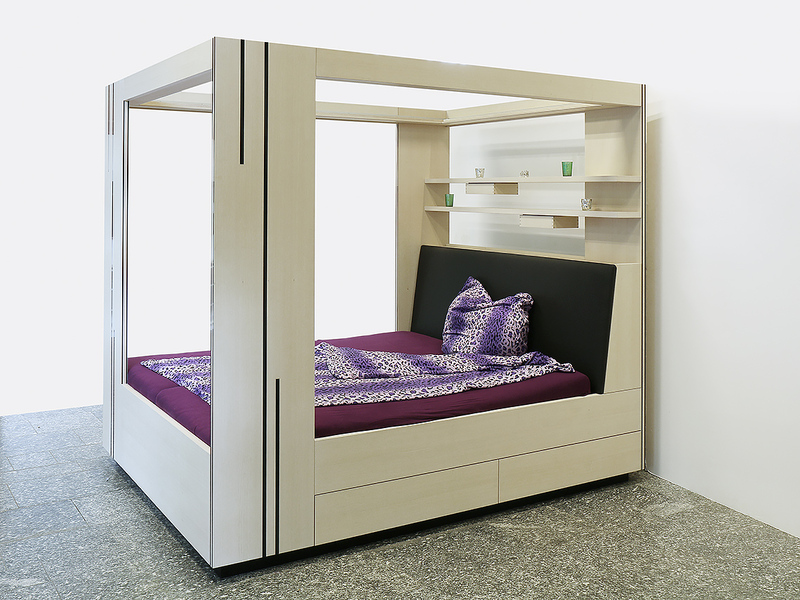 Beds made with the DUO 100/15 provide the perfect finished look with no visible fastener parts. 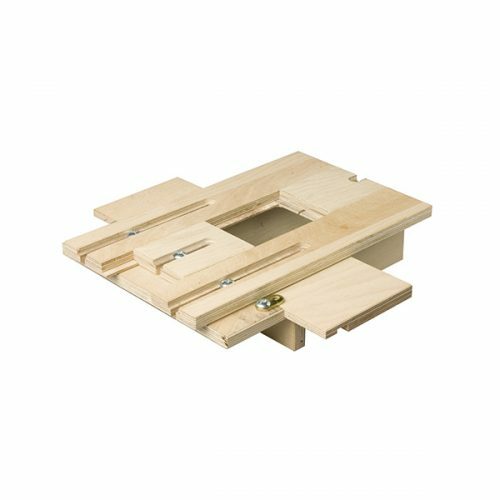 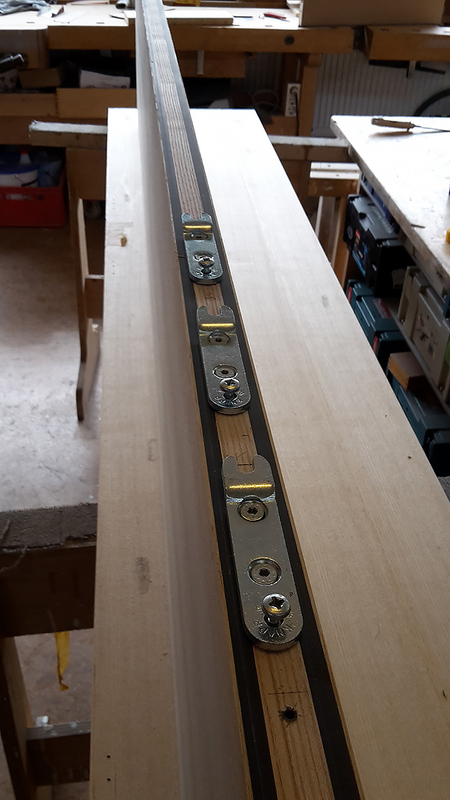 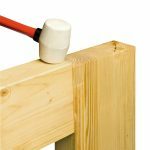 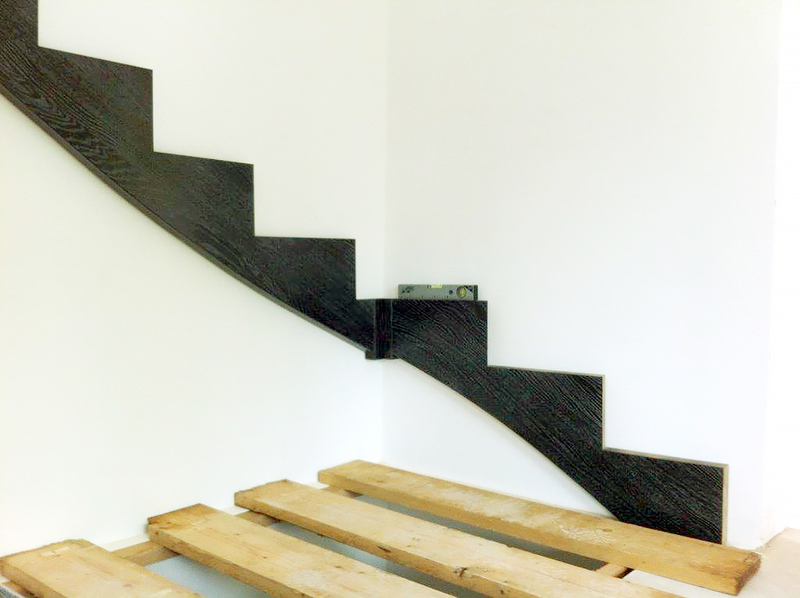 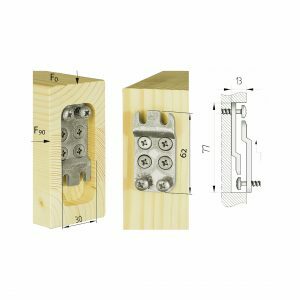 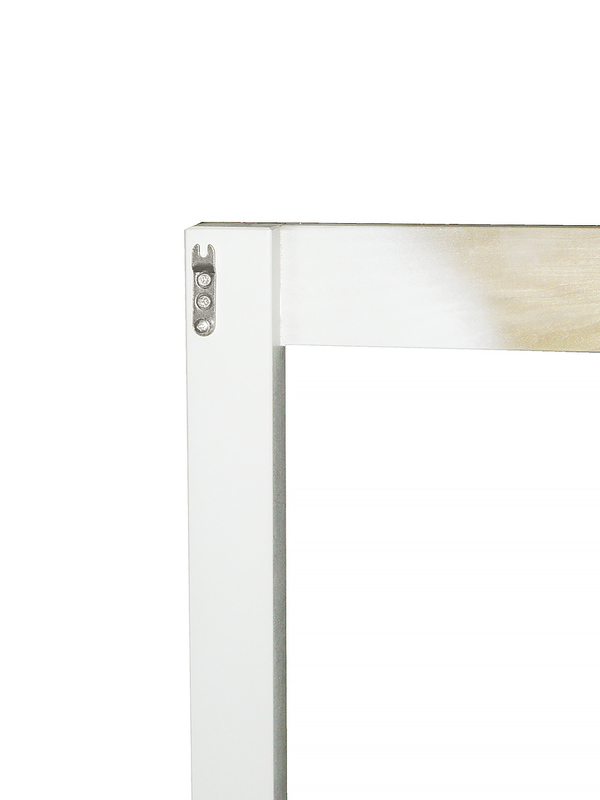 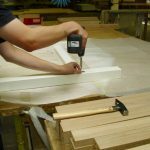 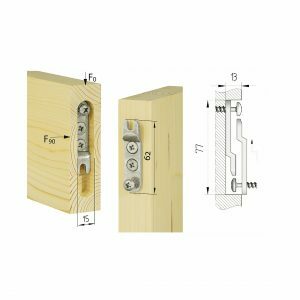 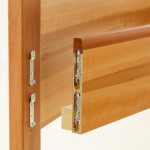 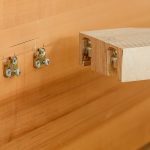 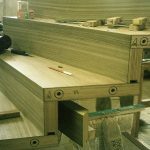 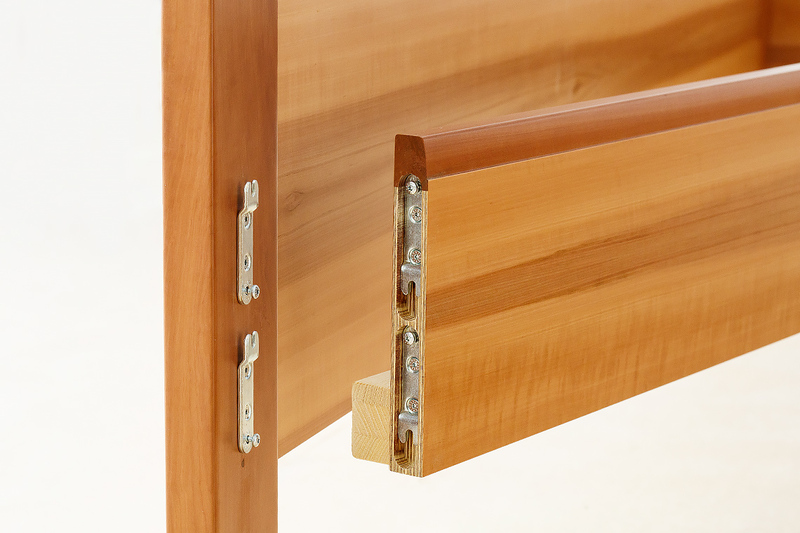 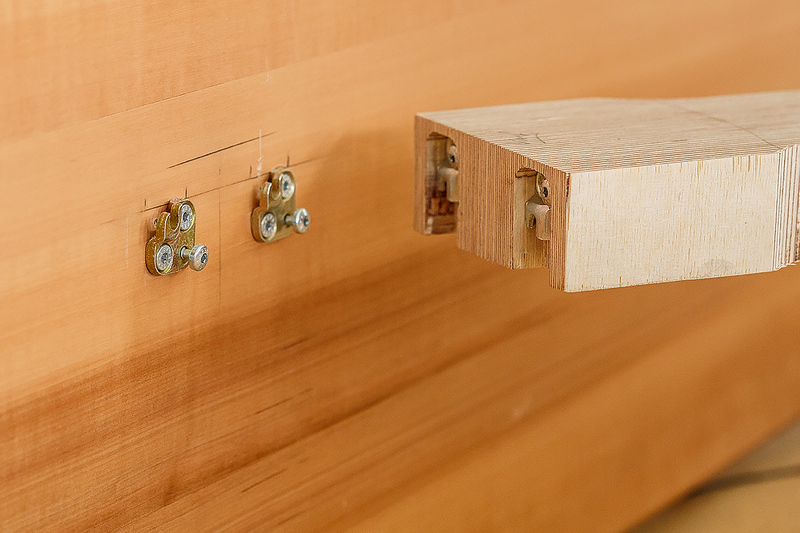 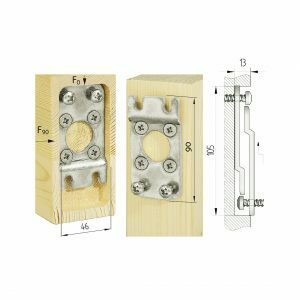 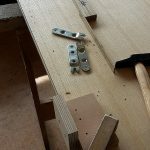 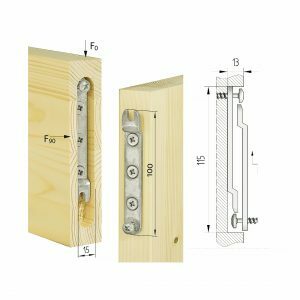 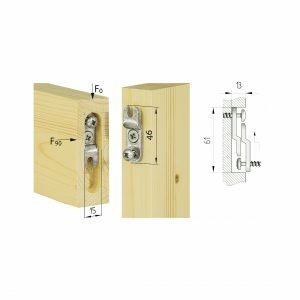 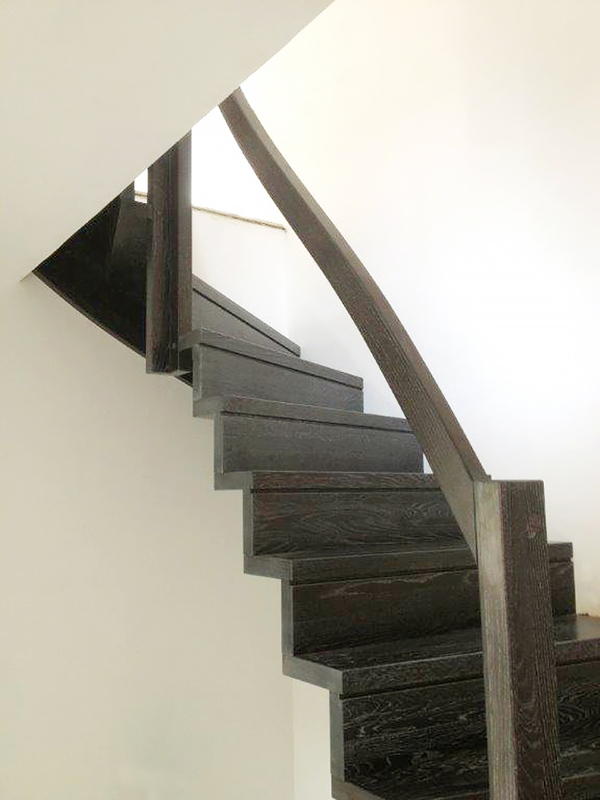 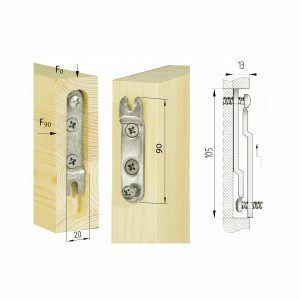 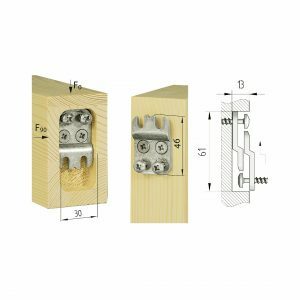 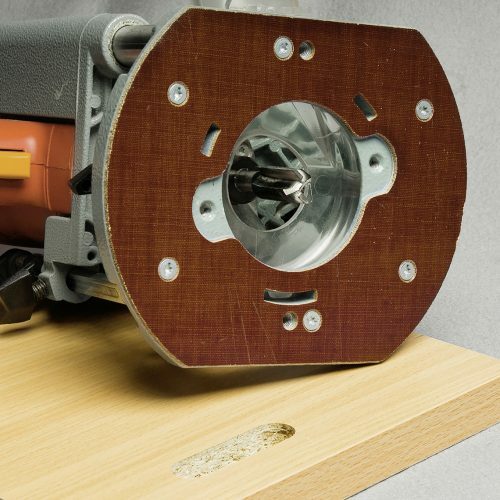 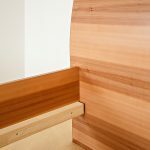 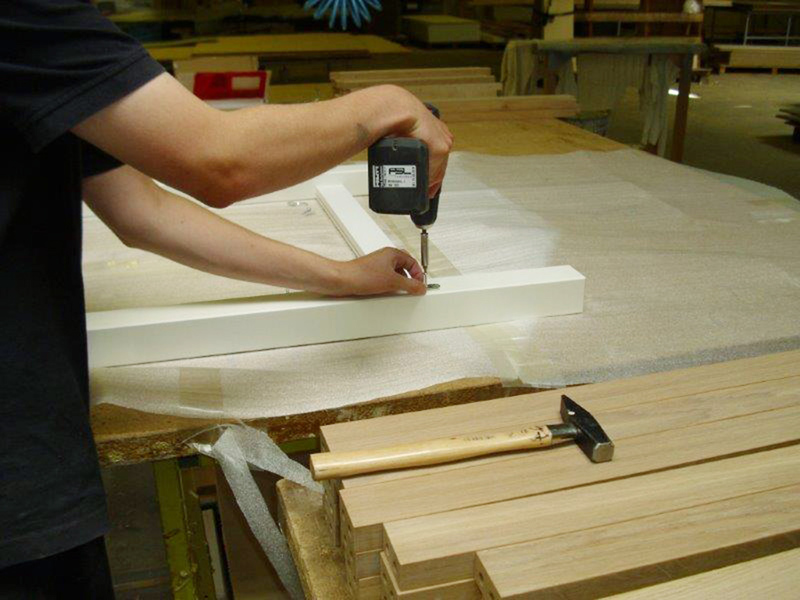 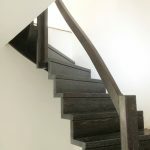 The Duo system is non-visible as it is installed in a mortise or rebate using our Routing Jig with a depth of 13 mm and milled either into the end-grain or face of the wood component. 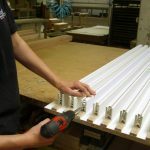 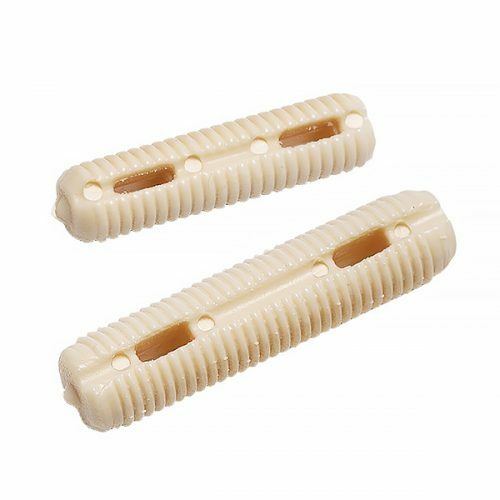 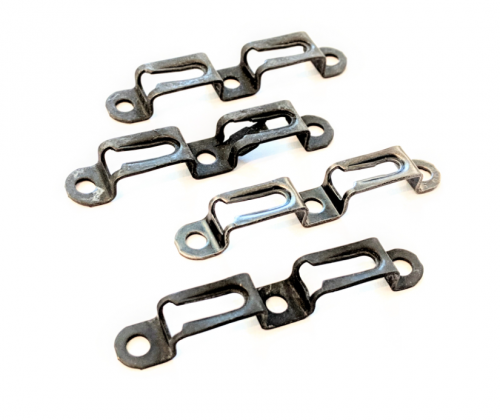 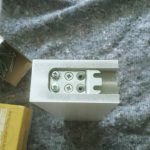 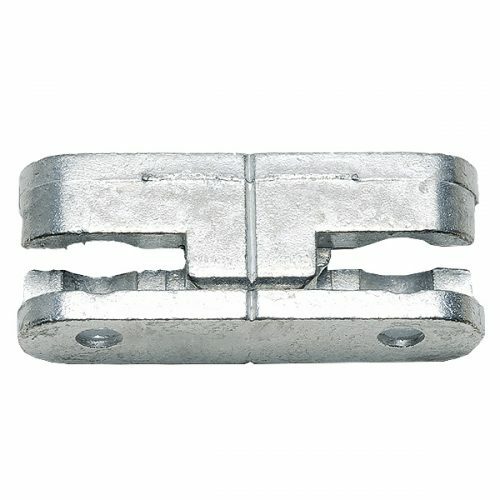 The DUO-System connector consists of two identical connector parts, made of high strength blue-galvanized weather-resistant steel, and is manufactured in Austria. 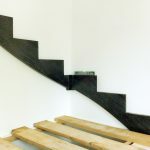 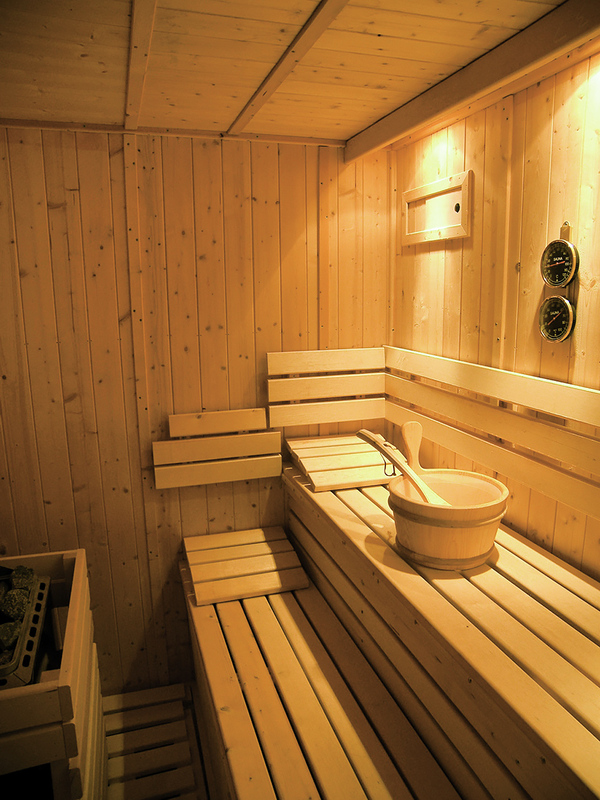 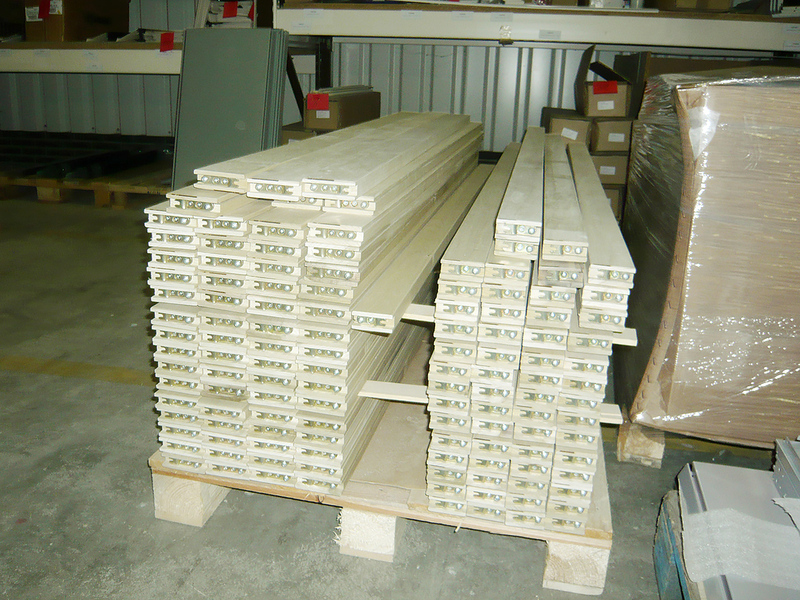 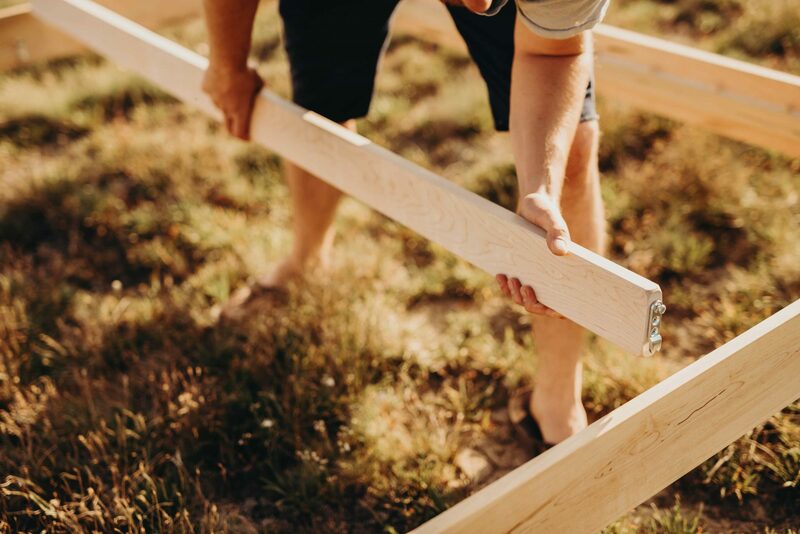 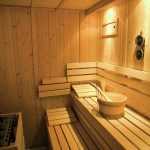 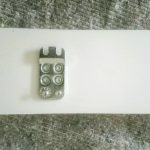 The choice of the correct DUO connector size depends on the used timber dimension. 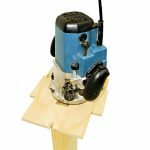 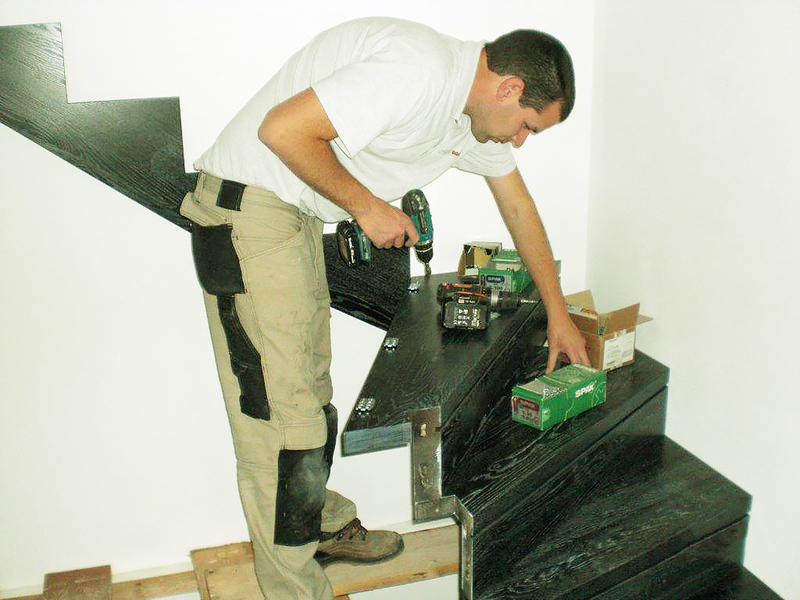 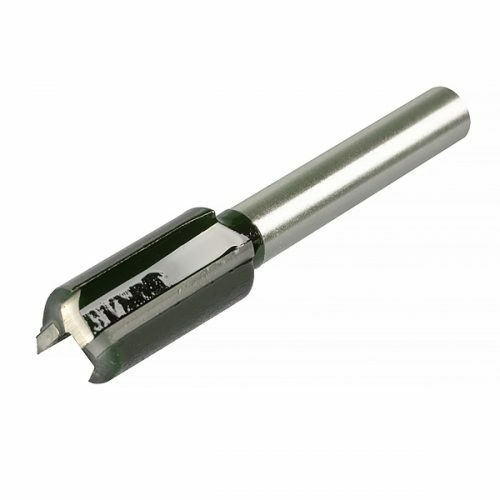 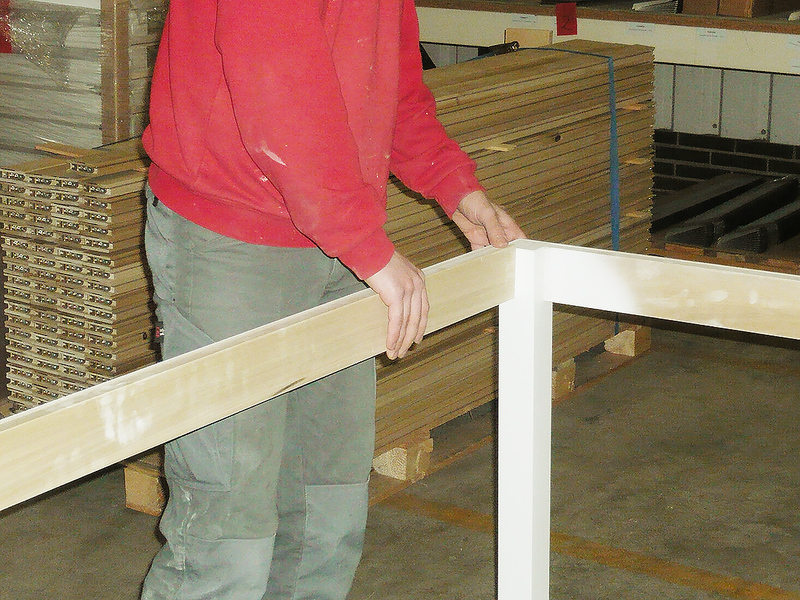 The milling operations can be made optionally with a hand router or a CNC. 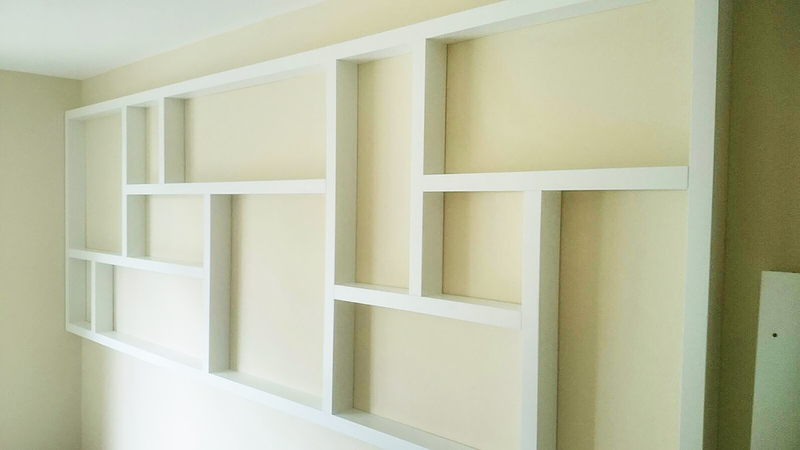 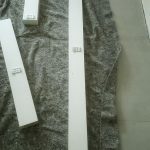 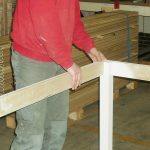 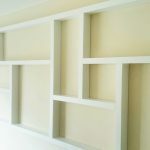 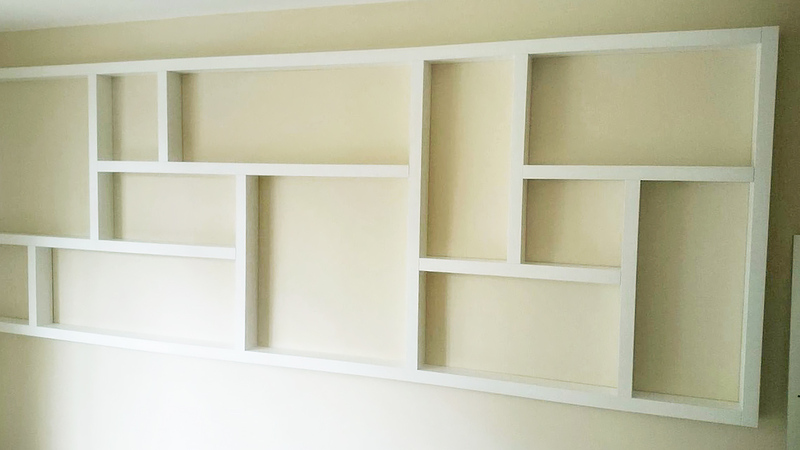 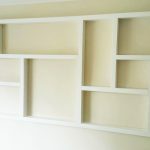 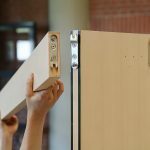 It is so quick and easy to assemble that even the end user can do it, and with 8 different sizes, you will be sure to find the exact size you need. 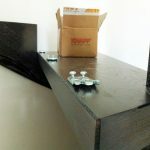 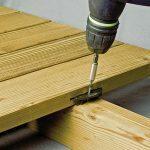 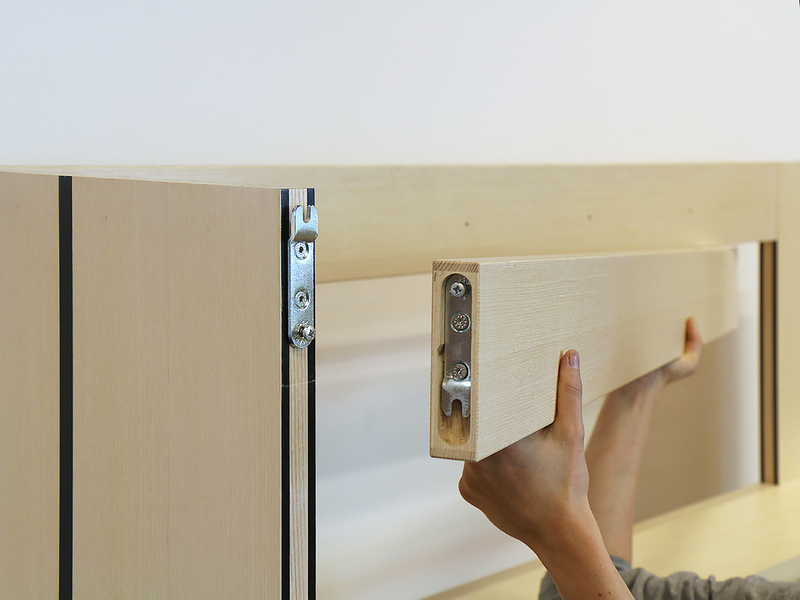 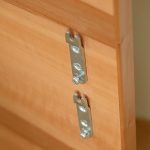 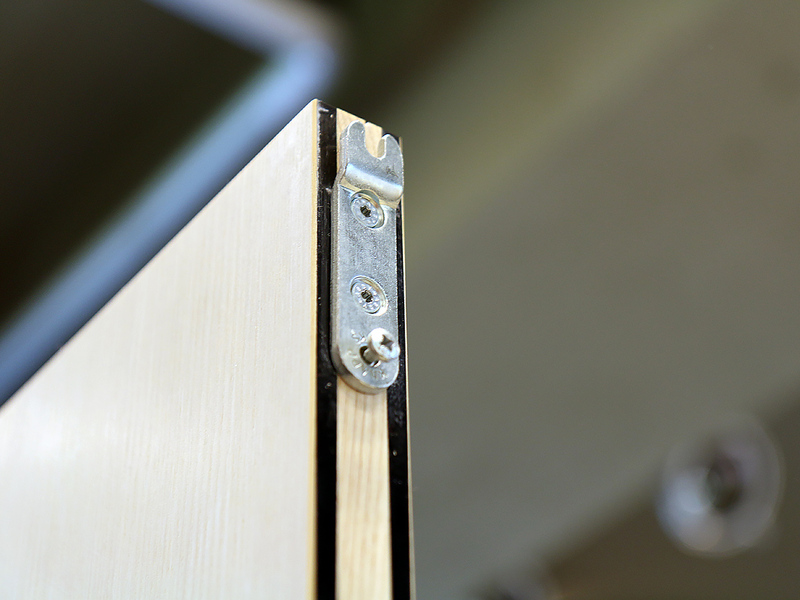 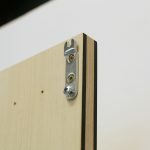 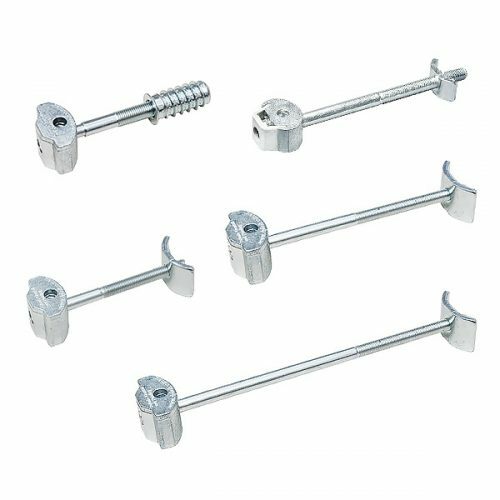 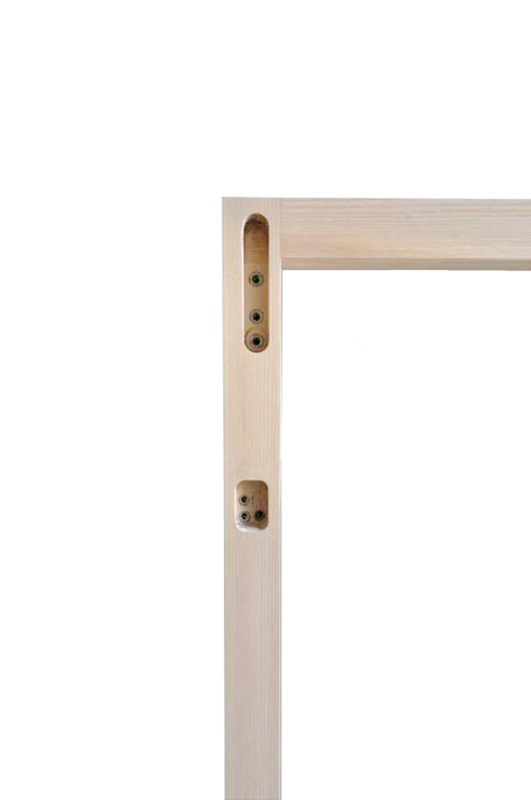 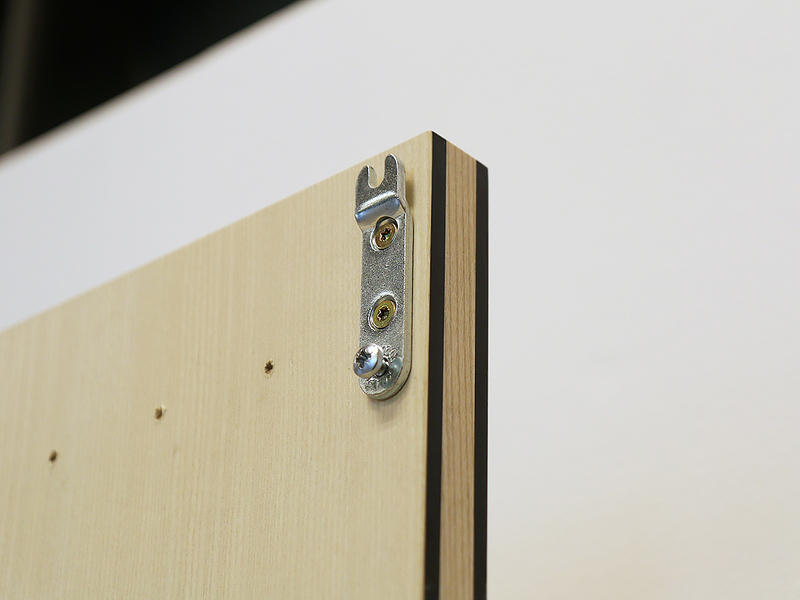 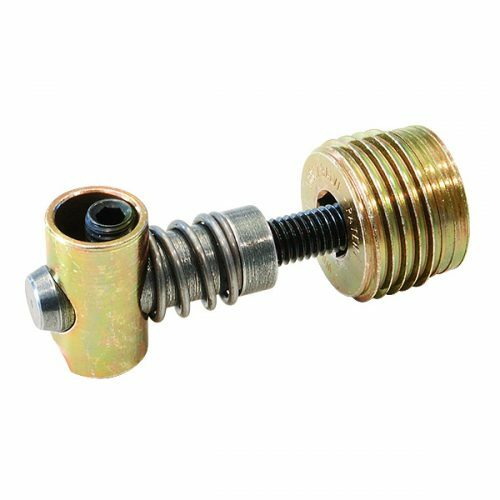 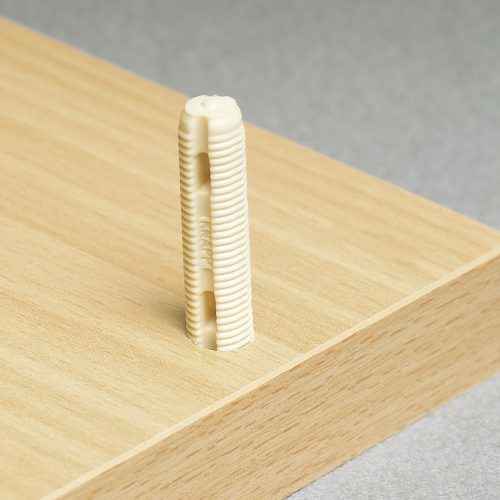 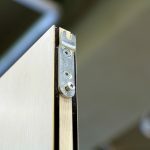 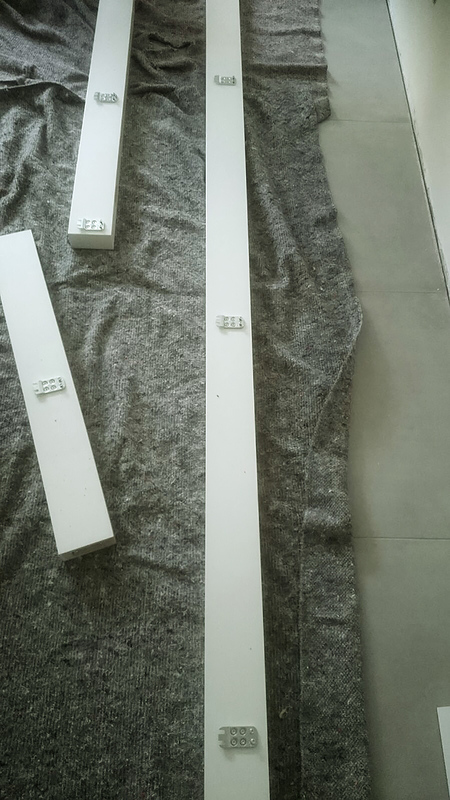 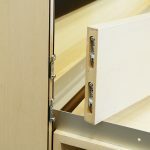 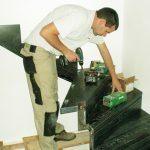 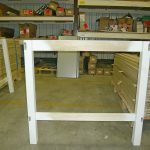 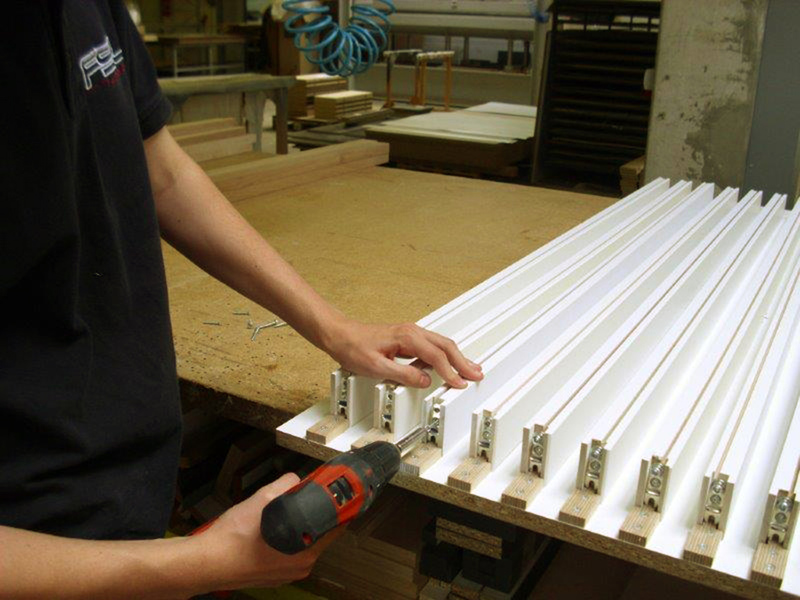 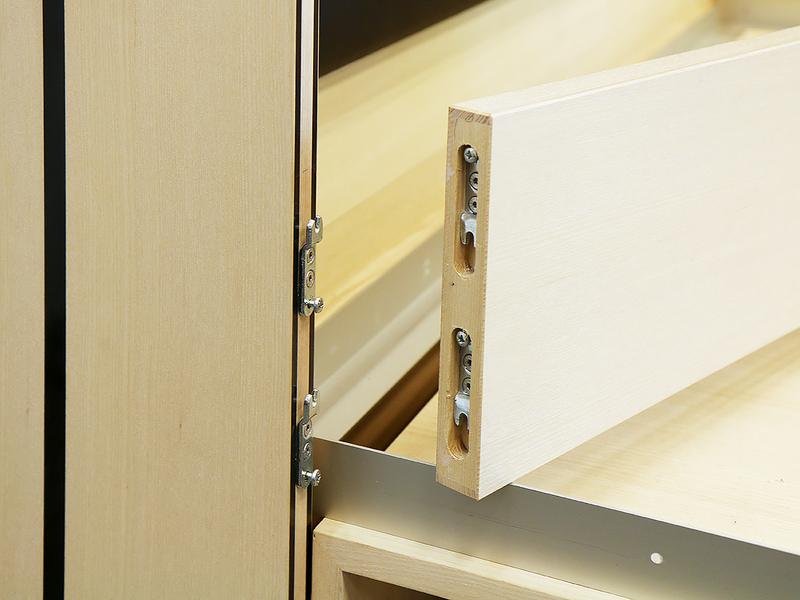 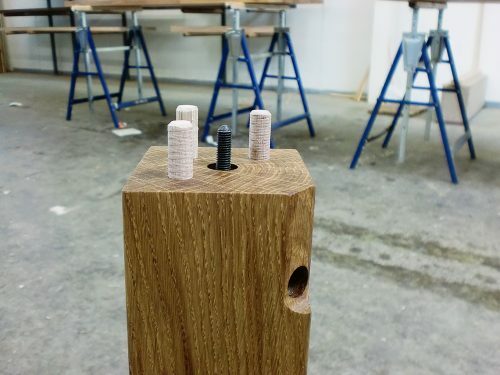 The wood component can shrink and swell, while the joint can be adjusted and re-tightened via the screws of the fastener. 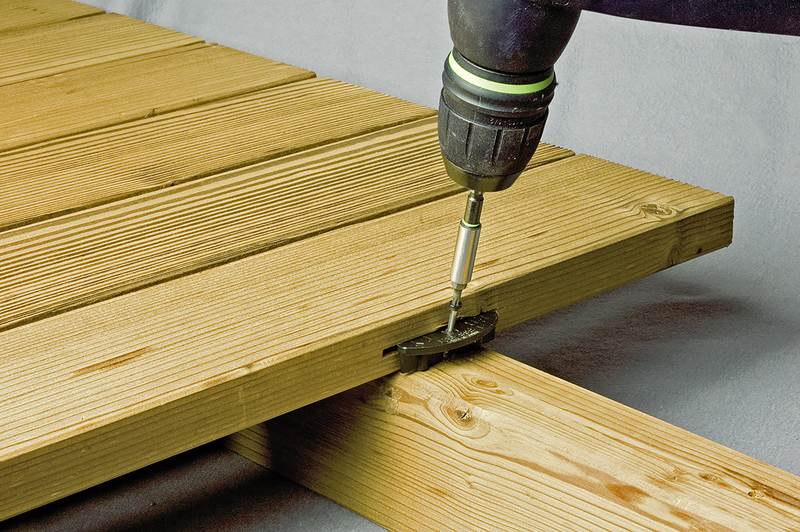 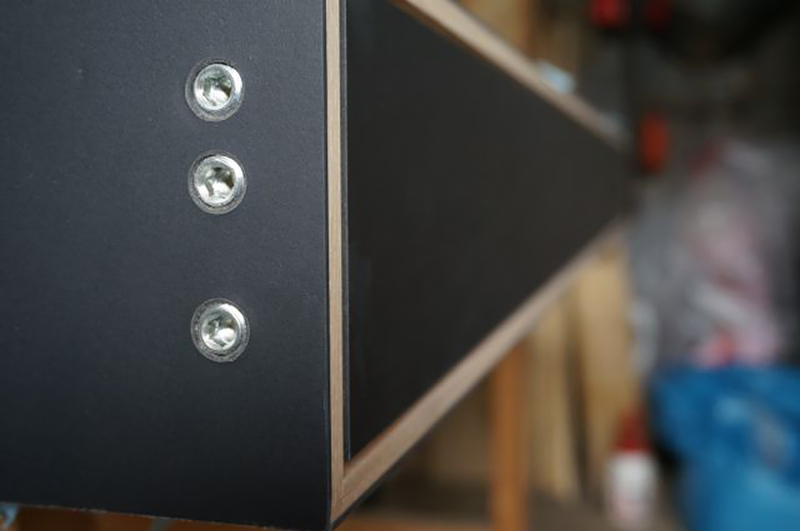 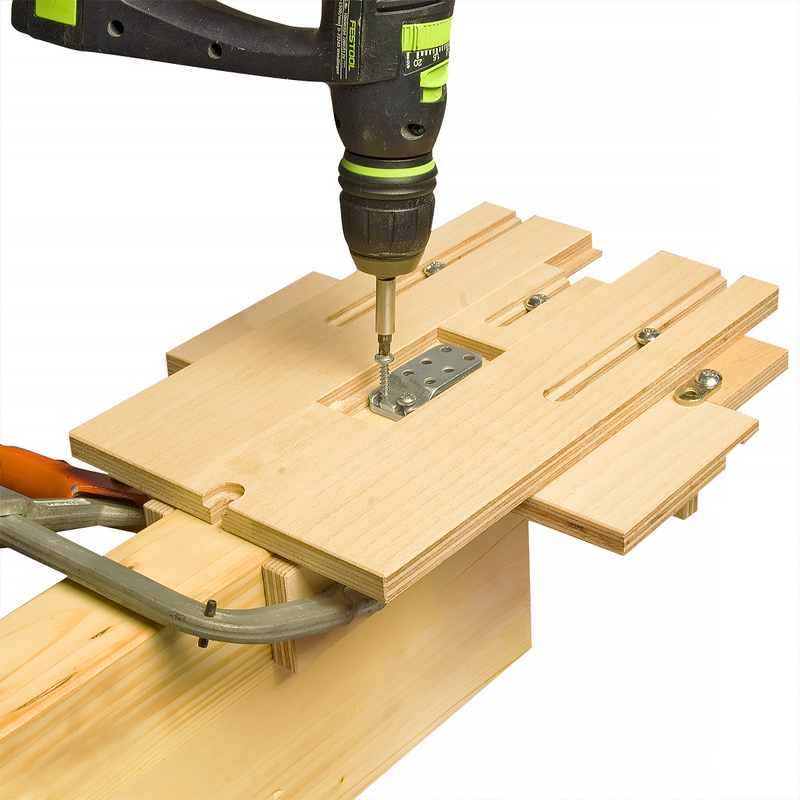 For handheld routers, use the Routing Jig for a perfect installation every time. 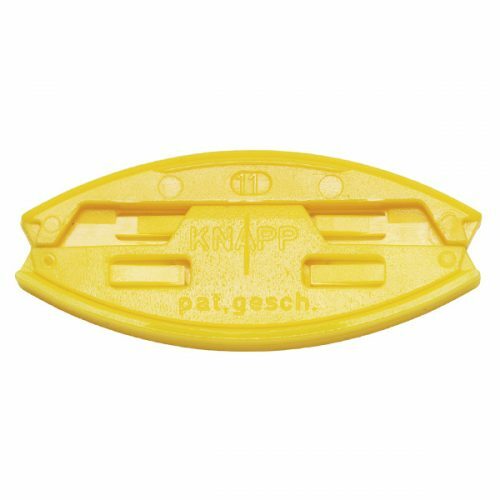 Use the KNAPP® ROUTING JIG to perfectly align and mortise both workpieces 13 mm deep using our Ø 15 x 25 mm TCT Slotting Cutter. 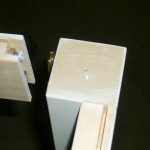 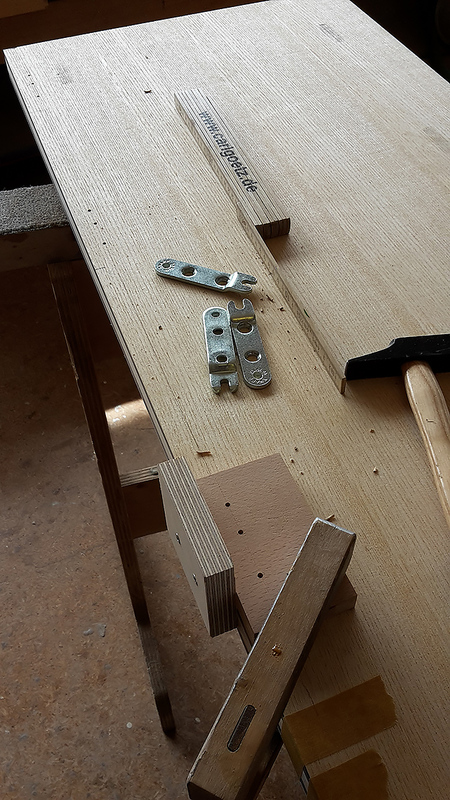 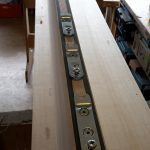 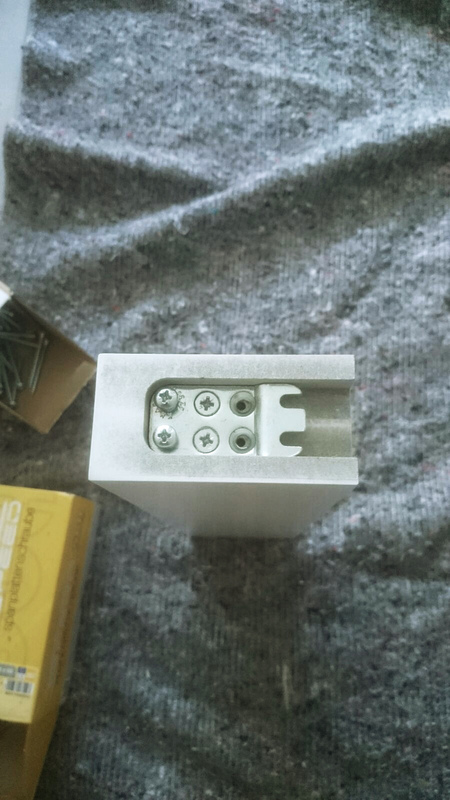 Set the DUO-System connector half into the mortise and predrill holes. 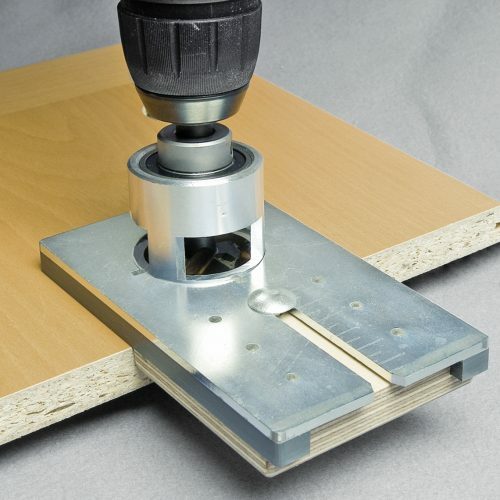 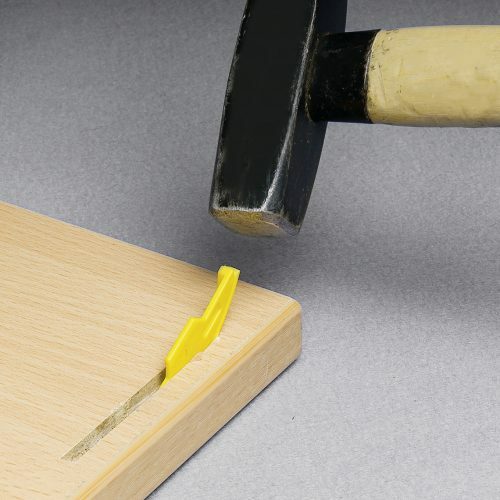 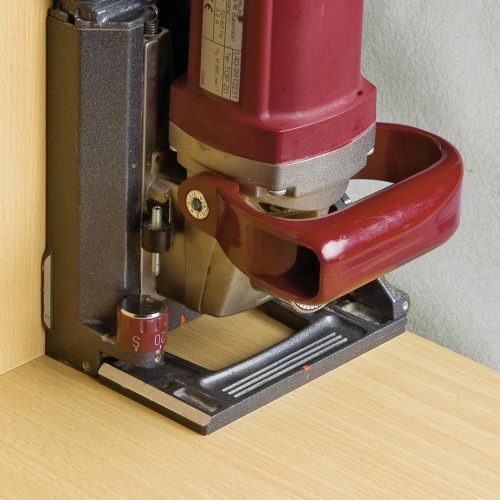 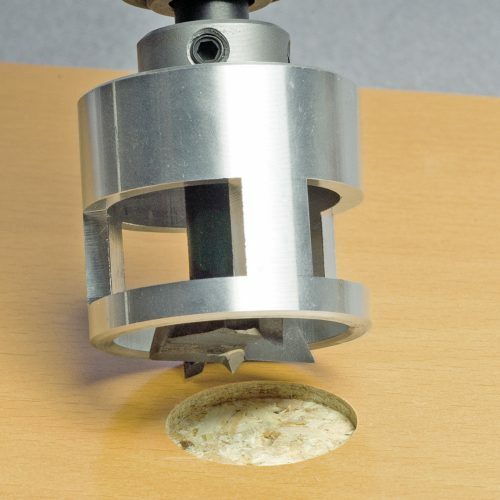 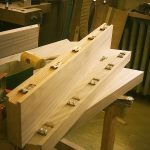 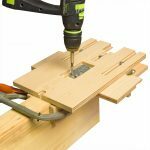 Use a hand router or CNC machine with a Ø 15 x 25 mm TCT Slotting Cutter to cut the mortise or rebate. 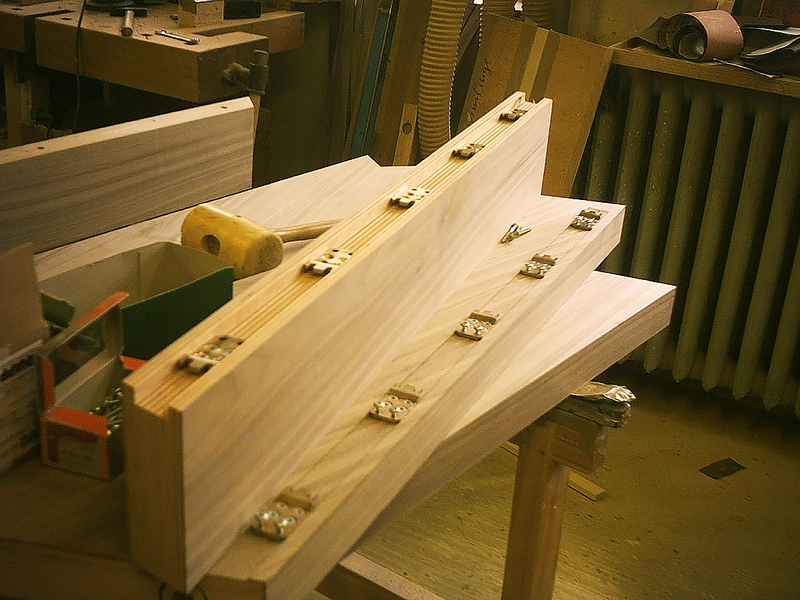 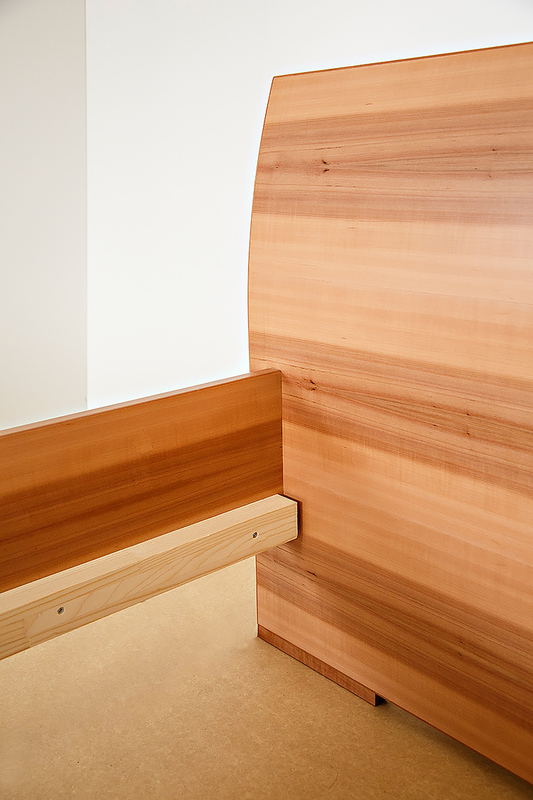 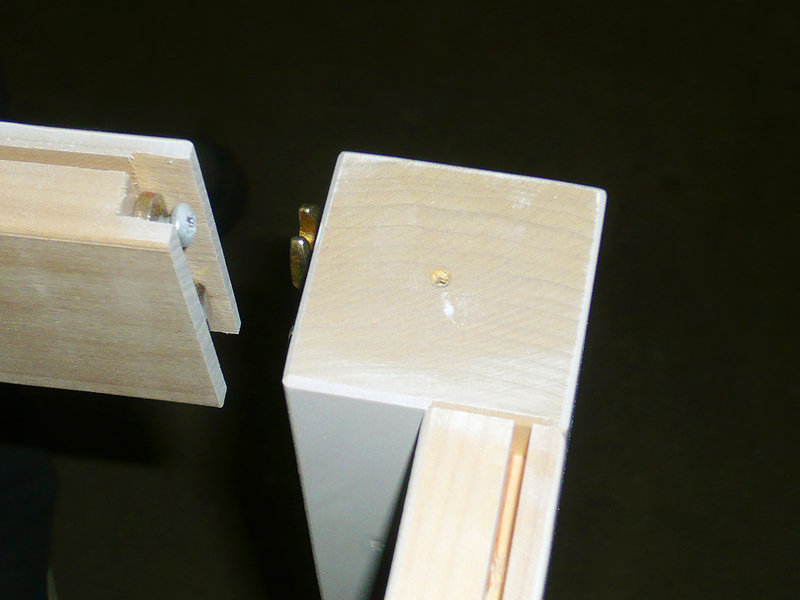 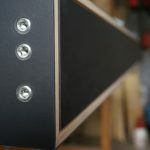 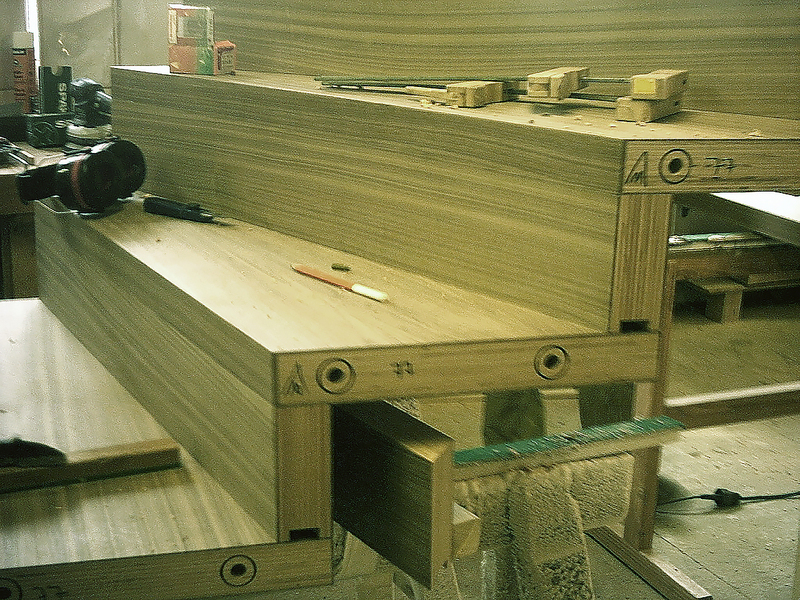 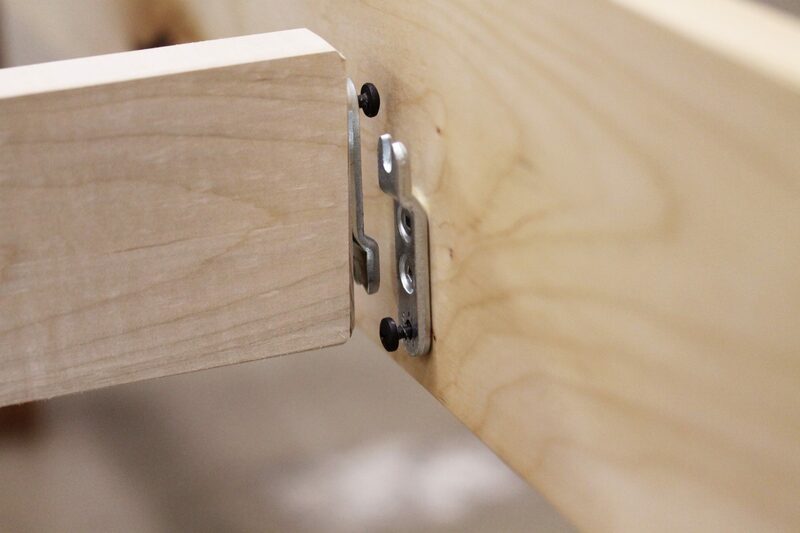 The joint is always tight, as the connector snaps together in a dovetail-like manner. 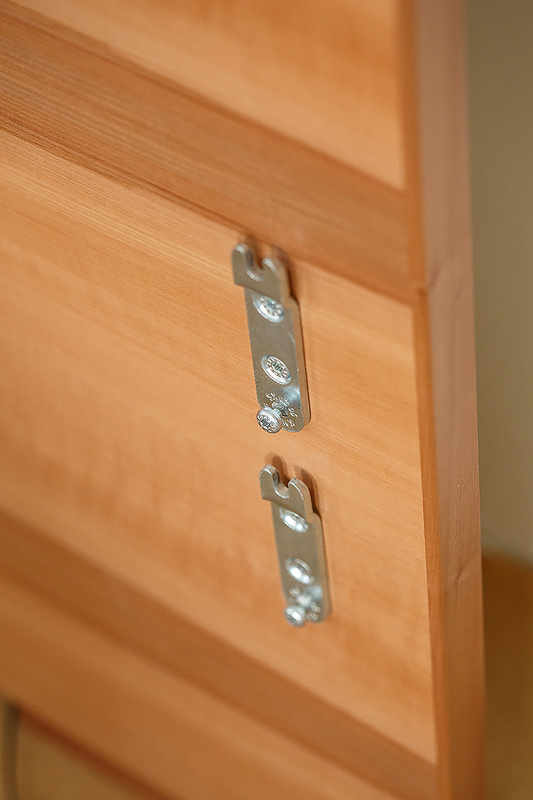 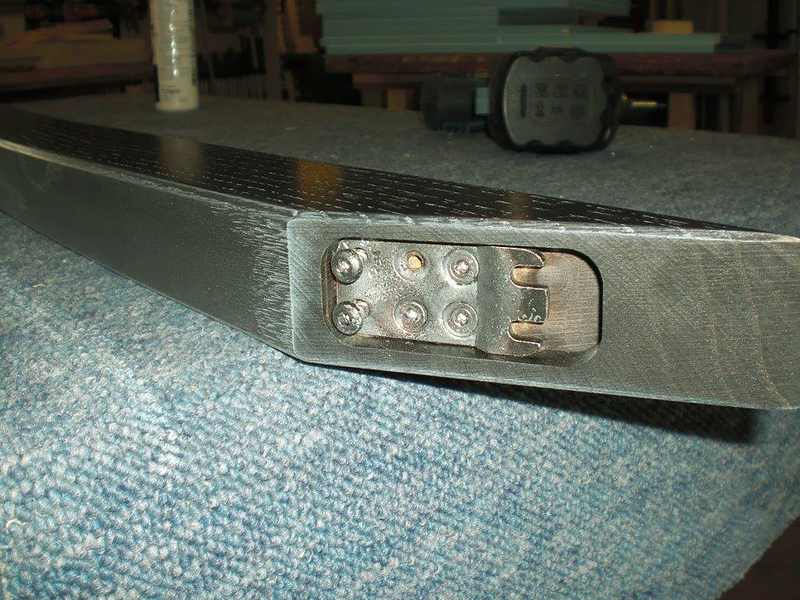 Still, the fasteners allow the natural shrinking and swelling of the joints and are adjustable if needed. 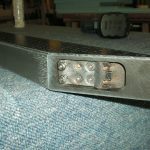 Note* The load value refers to the transverse force in the insertion direction. 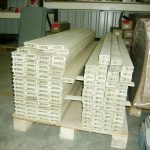 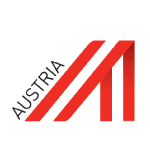 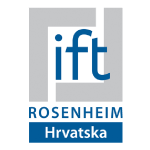 Details of the stress values are of the certificate of Holzforschung Austria from 02.11.2000 and the current KNAPP catalogs. 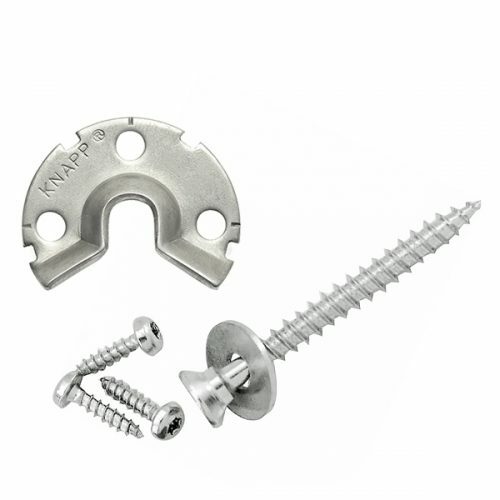 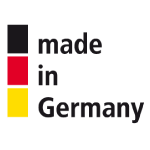 For commercial use of the DUO-System, according to Ö-Norm M5027, CS-screws (5×40, 5×60, 6×40, 6×60 mm) should be used.